Welcome back to everyone for a new school year. Last week we had a scorching first day but teachers and students managed the heat remarkably well and began the school year on a very positive note. Thursday we met the Preps of 2019 and welcomed them to the Winters Flat community. Assemblies will continue to occur fortnightly on Mondays in even weeks. During the warmer Term 1 and Term 4 we will meet first thing in the mornings on The Deck and during Term 2 and Term 3 in the afternoons in Oakview. Harry Poulton will continue to offer the chess program here at Winters Flat but due to some unforeseen timetabling challenges here and at the other schools where Harry works, chess will now be held fortnightly on a Friday. We are grateful that Harry is able to continue with the program this year. I will introduce the evening at The Deck next Wednesday at 6.00pm with some reminders and information relevant to the whole school. Teachers will then make themselves available in their classroom areas to discuss daily and weekly routines and procedures, giving you an opportunity to see the classrooms and how the teachers organise them. The following two weeks we will be having Meet and Greet interviews (please note dates for junior and senior), giving parents and care givers the opportunity to share important information they want their child’s teacher to know. On Wednesday 20th February you will have the opportunity to meet with teachers to talk about the individual needs of your child. We have attached a questionnaire to guide the conversation, with the expectation that this is an opportunity for parents and carers to meet the 2019 teacher or re-connect if they are continuing from 2018. Once again on Wednesday 27th February you will have the opportunity to meet with teachers from Years 4-6 to talk about the individual needs of your child. Questionnaires were mailed out to families just before school commenced last week. Again this is an opportunity for parents and carers in the Senior Learning Community to meet the 2019 teacher and re-connect if they are continuing from 2018. Next week the students in Years 4-6 will participate in 3 drama workshops with students from Monash University Student Theatre (MUST). Exploring sense of self, they have tailored these workshops to our school context and will be referencing the garden, sustainability and the Care Crows. Each class will have one fifty minute session on Monday, Tuesday and Wednesday. This year we are once again asking parents and carers to consider being Class Reps. Class Reps have the important role of organising class functions and social gatherings outside school for parents and carers and their families, as well assisting with messages to/from the classroom teacher and helping to mentor new families. If you are interested in being the class representative for your child’s class, please contact the school office via email or phone: 5472 1522. This week’s article is titled Top Five Strategies to improve your parenting this year and talks about some ways you can support your children. 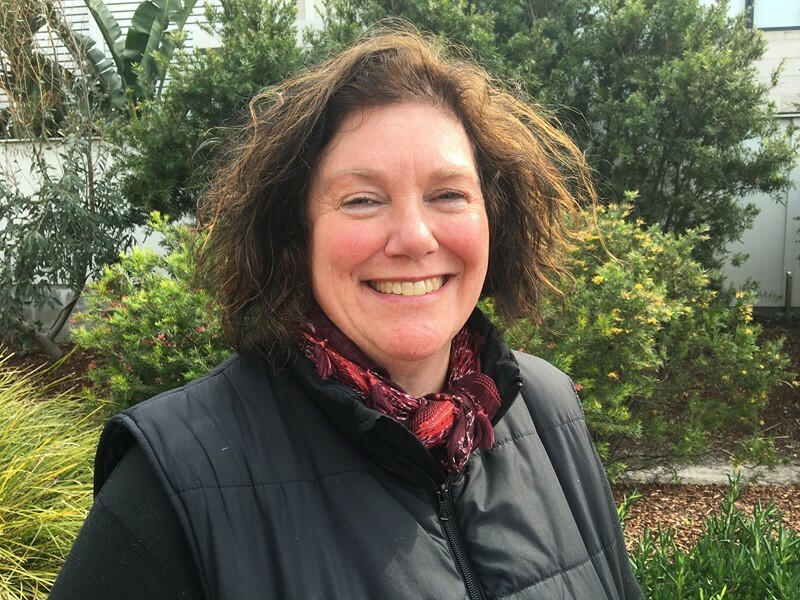 From February 18th, Liz Old will be taking long service leave for two terms, so we welcome Jacinta Deane to the team during this time. We wish Liz all the best on her well deserved break. Voluntary Financial Contributions: this helps the school considerably. While this second component is entirely voluntary, these additional financial contributions help us provide a school environment where children can be inspired to learn and play both inside and outside the classroom. We appreciate any additional financial support you can provide. Please note that CSEF money can only be used for camps, excursions and sporting activities and not for the payment of school fees, or voluntary contributions. Last week letters were sent home via the classroom which contained your child's enrolment details for the start of 2019. Could you please check these details carefully to make sure they are still valid. Make any changes to the sheets, initial and return them back to school (even if there are no changes) by Friday 8th February. This year we will be communicating with parents/carers via electronic means such as sms and email, which is why it's crucial that your contact details are kept up to date. If you do not wish to be included in this way, please contact the school and let us know. Just a reminder that students who arrive late or leave early must come to the office to sign in or out. If this does not happen then the office will contact parents to see where their child is. Could all parents remind their children if they do not accompany them to the office that they must sign in or out accordingly. We'd love to hear any suggestions or concerns you have about our school, and invite you to pop them into the Blue Letterbox located in the office. Welcome to Winters Flat Primary new preps and their families and welcome back all our other wonderful students, growing and changing as every year goes by…2019 has a wonderful feel about it, and the new preps are settling in well. The grade 4,5 and 6 students are navigating their way around the structural changes in their classrooms and getting to know each other and their new teachers. The grade 2s and 3s are also doing a great job getting to know their new teachers and friendship groups. I will be running a ‘Deep in Dialogue’ session once a month on a Tuesday from 8.30 – 10.00am. If you have any topics to get the ball rolling that you think would be of interest to other parents, please let me know. Topics in the past have included play; resilience; children and anxiety, managing our own anxiety as parents; and community building (such as brainstorming ideas). Please feel free to drop in and have a chat or post me a letter in my red post box and I will get back to you as soon as I can. Again, welcome to an exciting new year at Winters Flat! 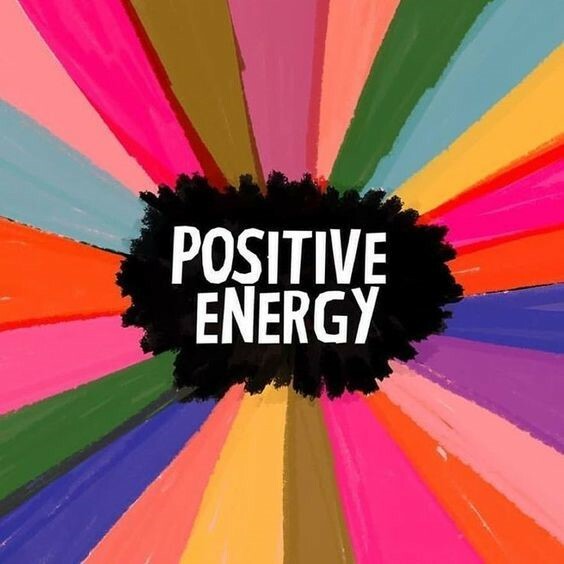 For caring for self by settling in nicely into new school routines, being positive and giving everything a good go. Welcome and well done Atticus! For caring for the environment by keeping your work areas and the classroom clean and tidy. Keep it up! Senior Leadership Community (4/5/6B, 4/5/6L & 4/5/6M) | The whole senior leadership community. Well you guys have just blown us away with your enthusiasm, adaptability, flexibility and teamwork. You have been faced with so many new and different works spaces and routines, yet not been fazed. You have shown care for self, for others and for our beautiful new space. Thank you, we cannot wait for the journey of the year ahead with you. This week's positive behaviour focus is on showing care for others by allowing others to speak, listen and learn in class. The following students are recognised for their great ability to do so. 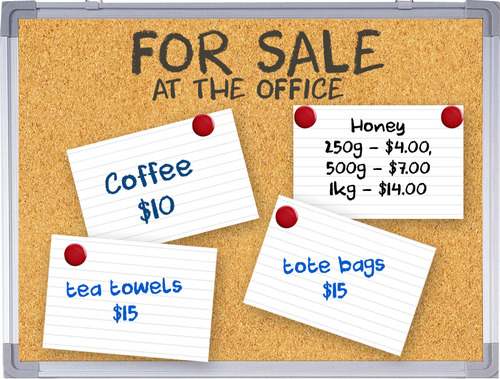 There are many ways you can help out at school and be a part of the school community. Over the next week we'll be putting 'volunteer vacancies' on the Get Involved page of our website, and will let you know when that's up and running. In the meantime though, we desperately need people to help with a washing roster for the kitchen. Each week, Jane washes the aprons daily so that every cooking class has clean aprons to wear in the kitchen, but she is unavailable to do it over the weekends. In the past we have had a wonderful group of parent/carers who have helped with the washing on a roster basis, but many of those people have left the school as their children have moved on to high school. If you can help in this area, and are happy to join the washing roster, please contact the office. Every little bit we can do, makes such a difference. Each weekday morning, a wonderful tune plays around our school to announce the start of the school day, and to signal students to head to their classrooms. 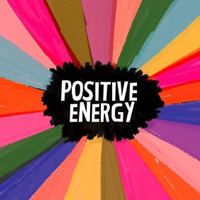 This cheery piece of music was composed especially for our school by the very talented (and past parent member of our school community) Richard Pleasance, the mind behind the music of TV shows Seachange and Wentworth. Having the most up to date contact information for you and your child is of the utmost importance, especially in case of emergency or if your child feels unwell. Please let us know if you haven't yet received your contact information sheet and we can send you another one. Years 4-6 students will be working with students from Monash University Student Theatre in Project Pollinate - Drama Workshops on Monday 11th, Tuesday 12th & Wednesday 13th February 2019. Permission forms need to be completed (both sides of the form) and returned to the school by Friday 8th February, 2019. There is no cost for this activity. Forms have been sent home with students, are attached to this event and are availble on the forms section of our website. If you did not receive a copy please download one from our website, complete both sides, and return by the due date. An information evening is being held at Winters Flat Primary School, commencing at 6:00pm, for parents/caregivers who would like to attend. We welcome all School Council members to the first School Council meeting for 2019. Lessons are back at Winters Flat Primary School. Want to be a part of the Castlemaine Goldfields FC Community? It's great way to connected through our World Game and the broader Goldfields Community. It is with great excitement that we announce that Registrations are Open for the 2019 Season. Too busy to read? Did you say ‘I’ll pass’ to The Luminaries and War and Peace? Is your brain crying out for literary sustenance? This novella book-club for busy people is a monthly library-facilitated book club where we will read stirring novellas, scintillating essays, striking short stories, and nothing over 150 pages – we promise! Last Monday of the month, 5pm-6pm, beginning March. For more information visit goldfieldslibraries.com or register online here. 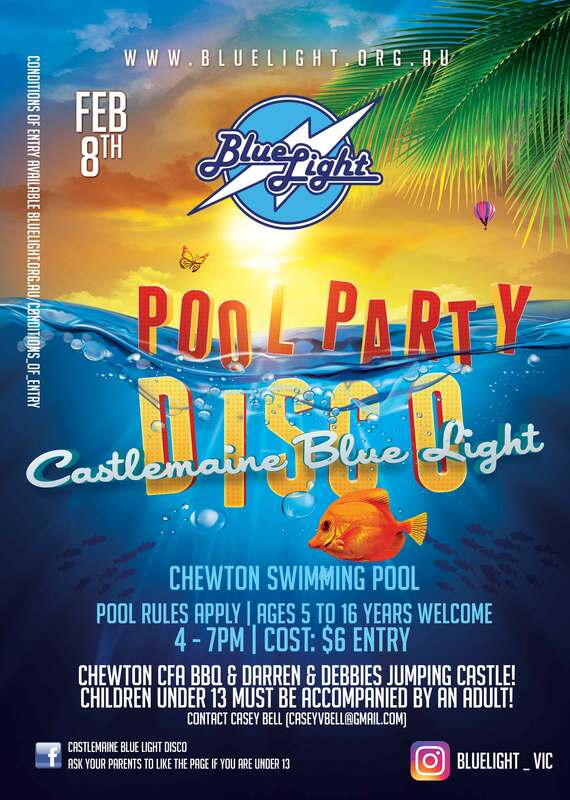 This friday the 8th February is the Castlemaine Blue Light's annual pool disco. It is at the chewton pool from 4pm to 7pm. The cost is $6. Darren and Deb will be bringing a jumping castle while the Cewton CFA will be having a BBQ. There will be plenty of music and some pool games as well.